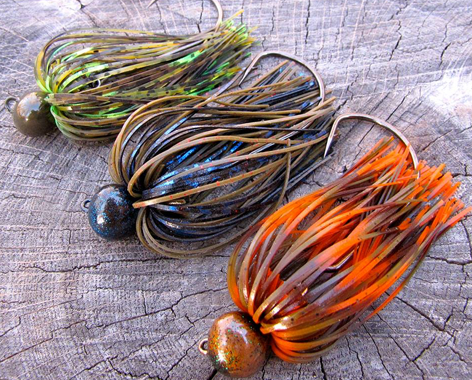 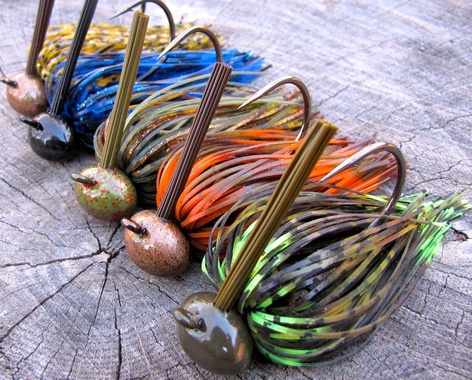 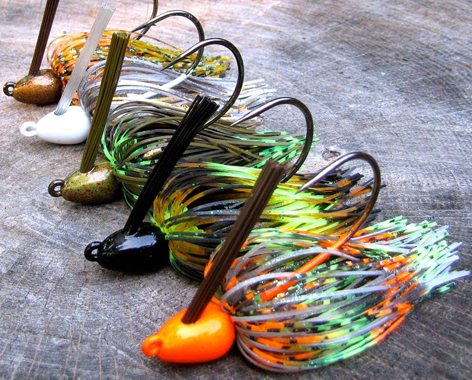 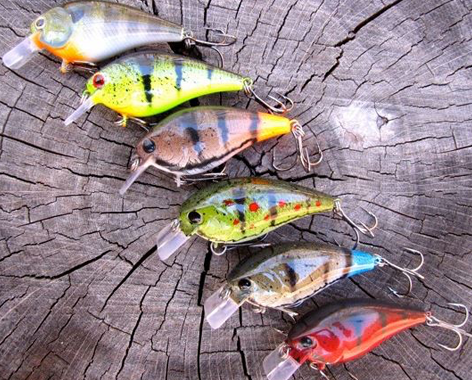 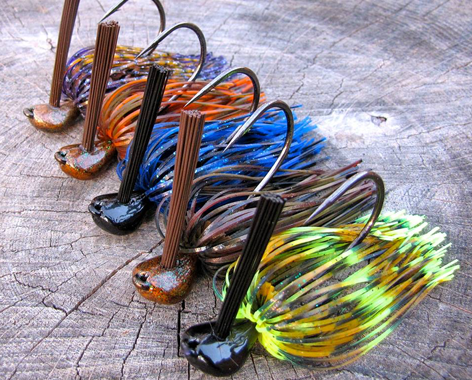 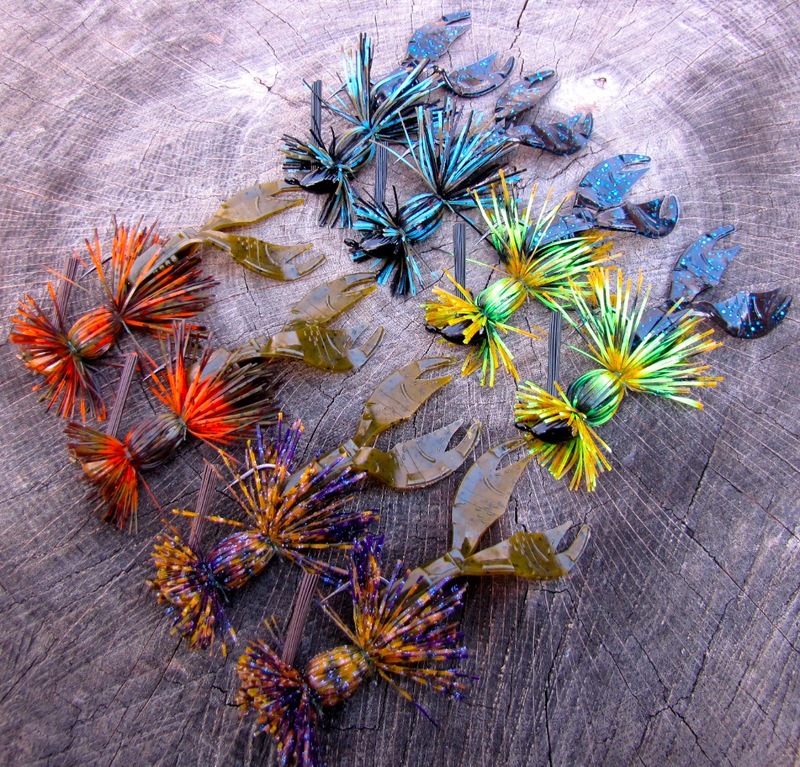 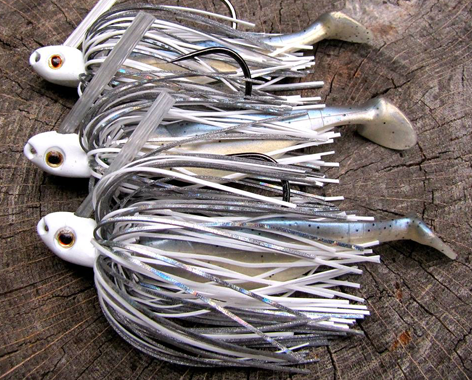 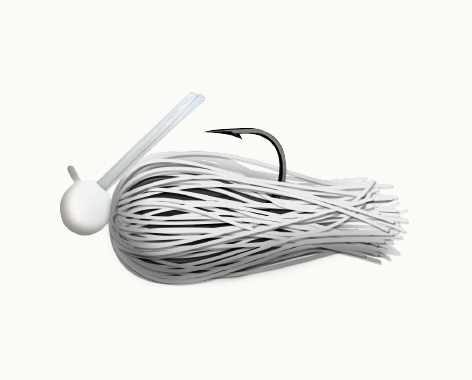 Our vibrating bladed swim jigs are hand-tied and available in 1/4, 3/8, 1/2, 3/4 and 1 oz. 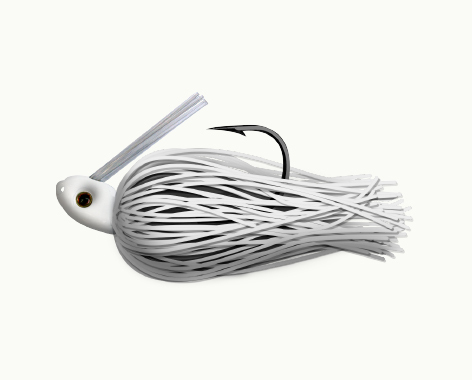 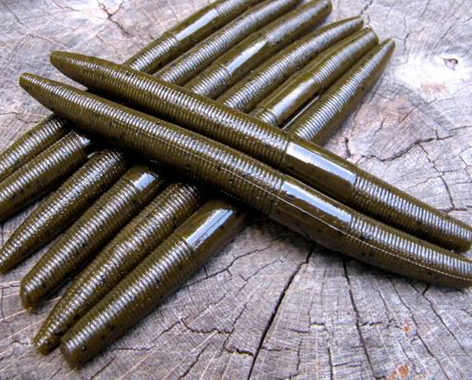 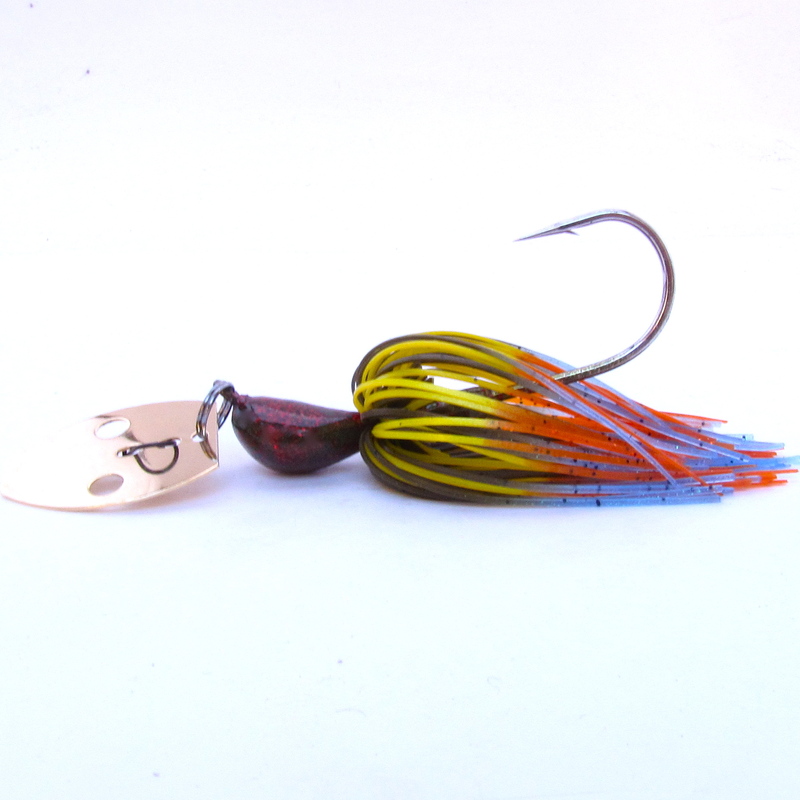 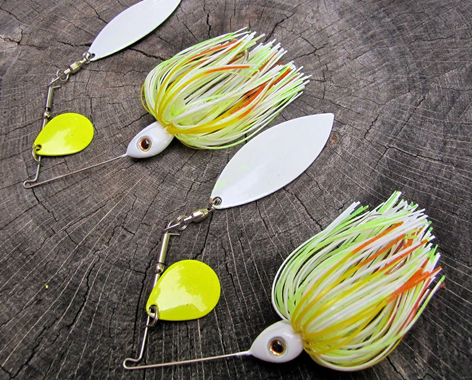 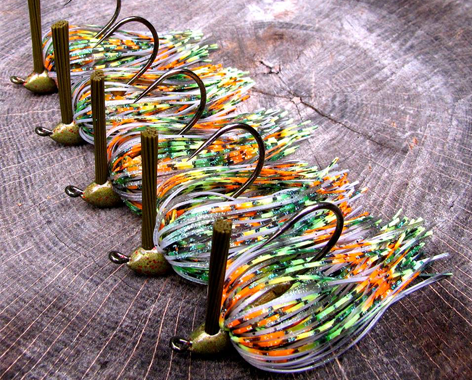 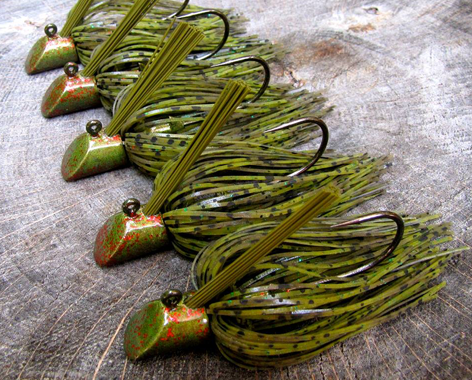 With no more worry of skirt slippage, this chatter style jig will outlast it’s top competition! 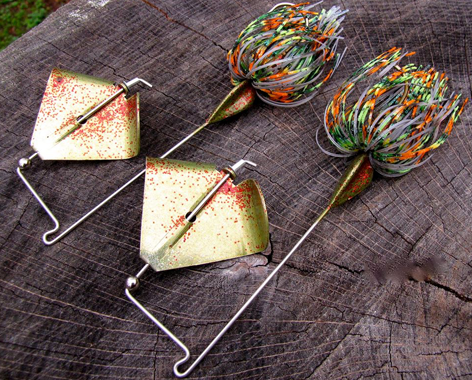 Hand-crafted with Mustad ultra point hooks, these workhorses are made to penetrate. 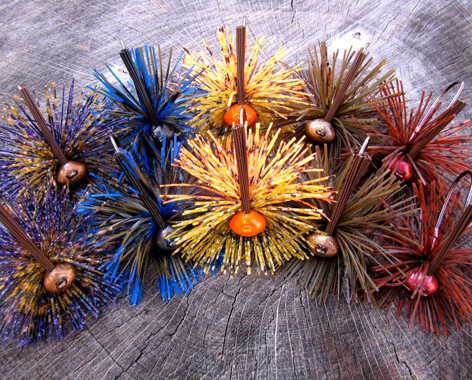 We have multiple color choices, pick as you may. 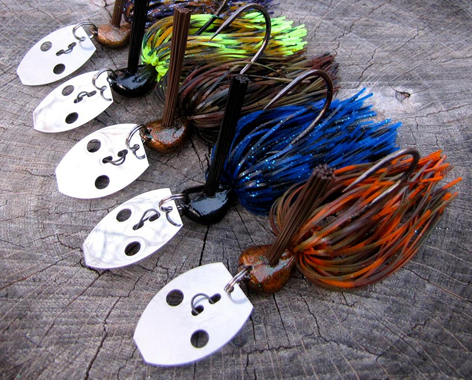 Our bladed swim jigs typically work best when fished in a slow, methodical fashion. 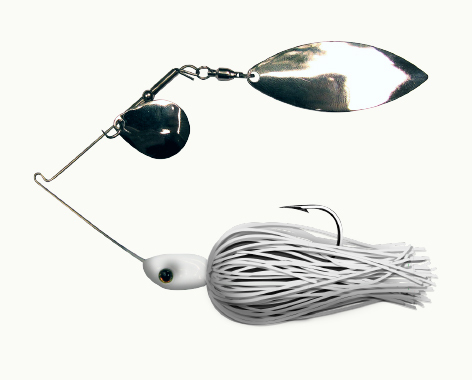 Whether pitching or casting it, try to feel the vibration with each crank of the handle. 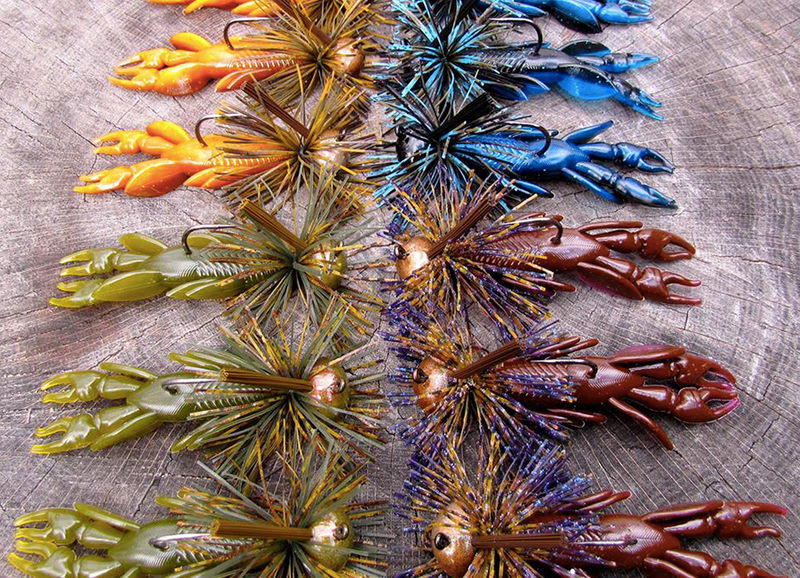 When you get bit, lean into it and let the fight commence!